Now in its second successful year, the World Food Innovation Awards administered by FoodBev Media are designed to celebrate excellence and innovation across every category of the global food industry. This year, as in 2015, entrants included hundreds of ground breaking innovations from all over the world – from new brands and start-ups to world renowned names from throughout the food and beverage industry. 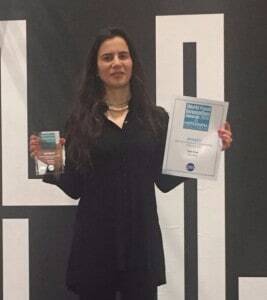 Tipa was proud and honored to have been awarded the Best Environmental / CSR Initiative Award for its range of 100% compostable flexible packaging for fresh produce, TipLock zipper bags, stand up pouches, paper applications, and for coffee and snacks. 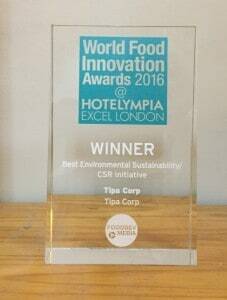 What began for Tipa five and a half years ago as a dream to treat flexible food packaging like an orange peel, has grown into the reality of a company with sales in Europe as well as the United States – and now recognition for excellence and innovation from the World Food innovation Awards.